We are excited to have just completed our first controlled evaluation of the MumMoodBooster program. 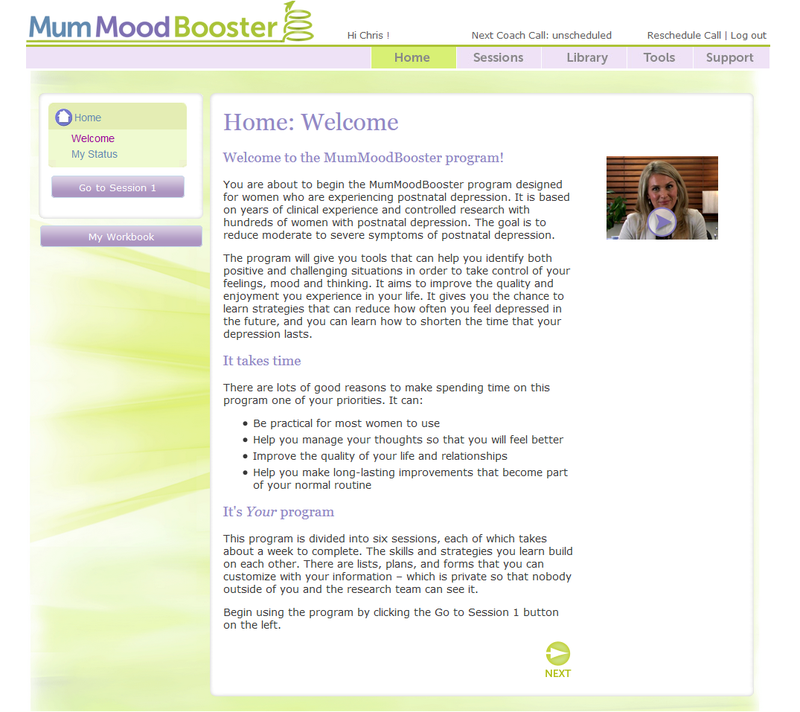 MumMoodBooster is a 6-session internet-based treatment for women with postnatal depression, guided by weekly telephone coach support. It is an interactive program where women create their own workbooks. In this study, funded by beyondblue and the Windermere Foundation, 21 women were randomly allocated to MumMoodBooster and 22 received treatment as usual. Results revealed that 78.9% of women who received MumMoodBooster program no longer met diagnostic criteria for depression at the end of the study, while in the treatment as usual group, only 18.2% remitted at the end of the study. Anxiety and stress symptoms were also found to be lower for those who completed the MumMoodBooster program. Program satisfaction and session completion was very high, with 86% completing all sessions. MumMoodBooster appears to be an effective and engaging treatment option that will hopefully reach more women, particularly those who are not willing or unable to attend face-to-face sessions at a clinic. We are currently conducting a larger randomised controlled trial comparing MumMoodBooster to face-to-face cognitive-behavioural therapy (CBT) and will be approaching nurses shortly to talk more about how mums can participate in this program. Depressed mums can self refer by registering online at www.mummoodbooster.com. Results from our first controlled evaluation of the MumMoodBooster program have just been published in the Journal of Medical Internet Research. You can access the full paper here.